Drytac® , a leading international manufacturer of self-adhesive materials for the print, label and industrial markets, has announced the global availability of two new exciting additions to its WipeErase® range of film media. Drytac ReTac® WipeErase and WipeErase White are both designed to be written on with standard dry-erase markers to create a whiteboard anywhere – an ideal practical solution for environments including schools, universities, offices, hospitals, retail stores and more. In addition, their anti-graffiti properties allow for easy removal of permanent markers, while they can both be branded or decorated using UV printing technology. Drytac’s ReTac WipeErase is a 6 mil (150 micron) white dry-erase film, coated with a scratch- and stain-resistant lacquer that is guaranteed for up to ten years. The film is easy to handle, can be applied to a smooth surface and can be taken down and repositioned with no loss of adhesion and leaving no residue, thanks to its integrated ReTac Permanently Peelable Adhesive. 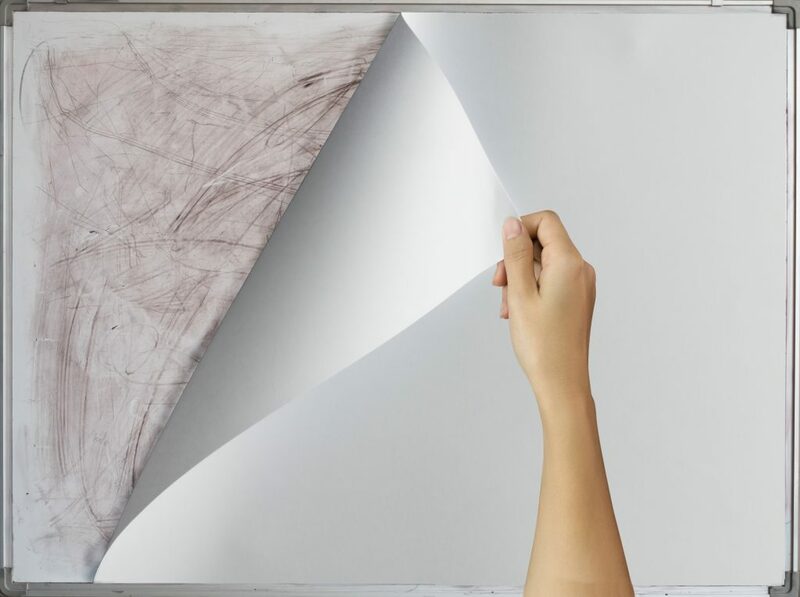 Unlike a whiteboard, it won’t suffer from ink staining or ghosting. These innovative attributes have already won fans in the graphics industry: ReTac WipeErase topped the Laminates, Adhesives, Films, Coatings category in the SGIA Product of the Year awards in 2018. These prestigious awards were announced ahead of the SGIA Expo 2018 in Las Vegas in October 2018 and recognised the most exciting products to be showcased at the event, selected by knowledgable industry professionals. Drytac’s second new product, WipeErase White, has a permanent adhesive for locations where the signage will not need to be moved, such as wall coverings, restaurant menus and whiteboards. It is a 6 mil (150 micron) film with excellent durability and scratch resistance. As well as offering ‘a whiteboard in a roll’, both Drytac ReTac WipeErase and WipeErase White can be used to resurface existing whiteboards to give them a new lease of life.